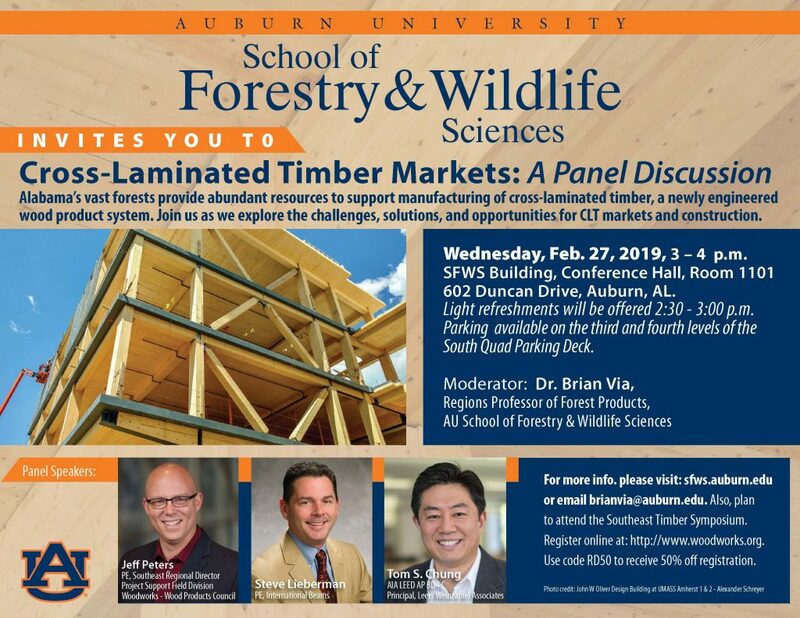 The Auburn University School of Forestry and Wildlife Sciences will host “Cross-Laminated Timber Markets: A Panel Discussion” on Wednesday, Feb. 27, from 3-4 p.m. 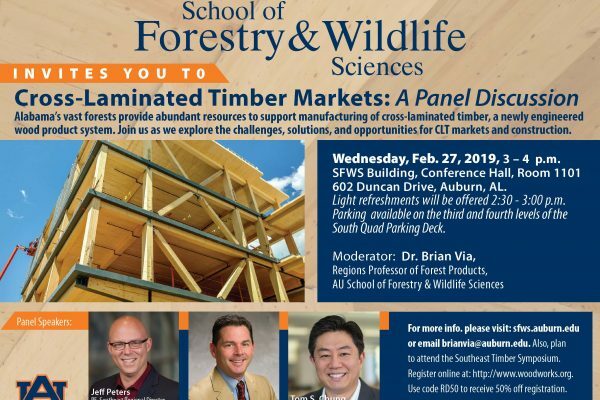 The school is inviting the public and Auburn administration, faculty and students to join industry stakeholders for a reception and the panel discussion to explore the opportunities for growing cross-laminated timber markets and construction. Cross-laminated timber, or CLT, features a unique layered engineering, which gives it steel-like strength, and it is light, easy to assemble, sustainable, fire resistant and cost effective—making it ideal for commercial construction. CLT offers the structural simplicity needed for cost-effective buildings, as well as benefits such as reduced waste, improved thermal performance and design versatility. Panelists will include industry representatives Jeff Peters, southeast regional director, Woodworks – Wood Products Council; Steve Lieberman, senior product engineer, International Beams; and Tom S. Chung, principal of the architectural firm, Leers Weinzapfel Associates. Alabama’s vast expanse of southern yellow pine forests and its existing processing infrastructure make the state an ideal location for CLT manufacturing. “The innovative timber research at Auburn University through the Forest Products Development Center and its strong relationships with forestry stakeholders, positions Auburn to be the hub for product development that will fuel this growing industry,” said the panel moderator, Auburn Regions Professor of Forest Products Brian Via. The reception and panel discussion will be held at the School of Forestry and Wildlife Sciences Building at 602 Duncan Drive in the Conference Hall, room 1101, beginning at 2:30 p.m. on Wednesday, Feb. 27. The event is free and open to the public. Parking will be available on the third and fourth levels of the South Quad Parking Deck. 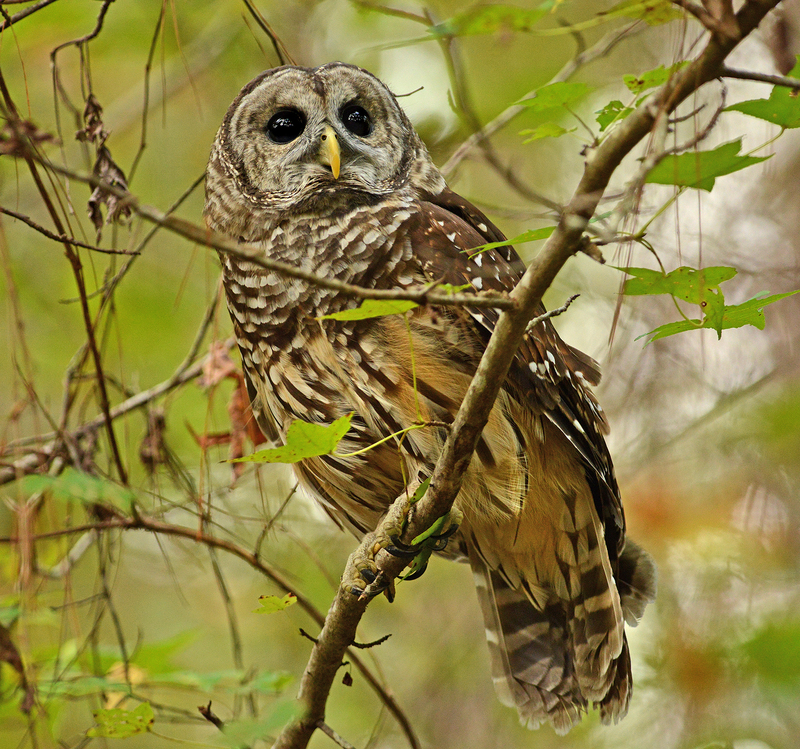 Participants may also be interested in attending the Southeast Timber Symposium held in Birmingham on Thursday, Feb. 28. Attendees can registrar online. Use code RD50 to receive 50 percent off registration. Visit auburn.edu/sfws to learn more about this event.